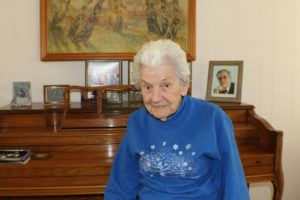 Teri Swan, a 101-year-old Morgan Hill resident, still works out and plays bridge. Her key to a long life: She ate healthy, never drank soda, never smoked, and she worked hard. That was 10 years ago.Though Teri Swan likes to stay active, she doesn’t play golf anymore. “I quit when I was 91,” she quips. This Morgan Hill resident turned 101 May 7. Although golf is no longer a regular activity, she’s not planning to slow down any time soon. She still goes to her aerobics class every Monday, Wednesday, and Friday, something she’s been doing for 25 years. The class is modified for her age group and includes 30 minutes of line dancing and 30 minutes of exercises like push-ups. On Tuesdays and Thursdays, she works out at the gym in her mobile home park, hitting the treadmill and the elliptical. She also plays bridge three times a week. That habit of staying active started early for Swan. When she was seven she lived with her parents on another farm, where she had a six-mile walk to school every day. At 15, she went to the city to live with her father, in Binghamton, N.Y. Eventually, she started working and attended night school for four years. She married her late husband, Harold, and they had two children. Then the war came, and Harold left for Korea. Not one to sit still, Swan took a job at IBM, doing ink drafting in the engineering department during the war. When Harold returned, they had two more children. And she found herself without a job. “They had to let me go because they didn’t believe in married women working and taking jobs from men,” she says. Now it was Harold working for IBM. But soon Swan was on to the next challenge. The couple bought a four-room house from the city for $500. They put $10 down and paid $10 a month. When they bought it, the little house had no electricity, heat, or bathroom. So, they spent a lot of time remodeling. And then, true to form, she was on to the next adventure. Instead of getting up at 4 a.m. to milk cows, she soon found herself getting up before dawn to play golf. 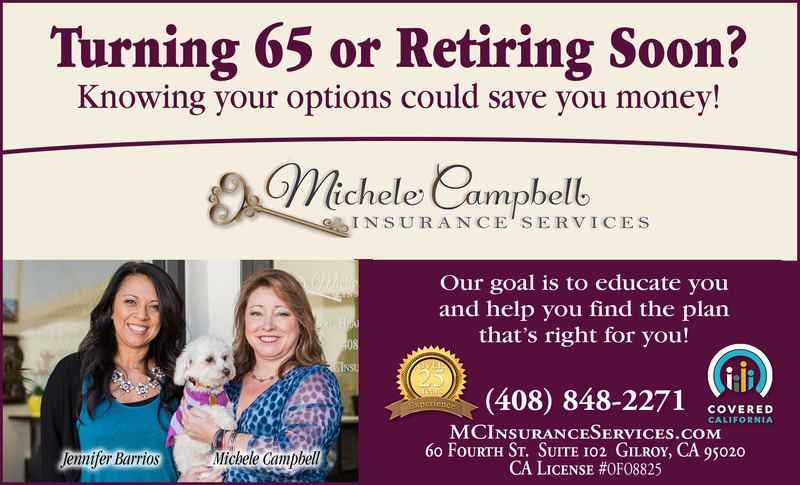 At some point, she took accounting classes at Gavilan, then got a job at the old Spanish radio station. If she finished her tasks early, she’d punch out and hit the golf course. Her whole family celebrated her 100th birthday last year. They came from Florida, Virginia, Maryland, Wisconsin, Illinois, and Iowa. It was a four-day party. Because Swan’s family is musical, the events included jam sessions with family members singing and playing various instruments.